HTS Therapy provides Occupational Therapy (OT), Physical Therapy (PT) and Speech Language Pathology (SLP) professionals support for their training, successful tools to increase communication, education, enhance experience and promote better health. Cell Staff is ready to offer you a FRESH START. We provide nationwide employment opportunities for healthcare professionals specializing in Therapy, Allied, Behavioral Health, and Government Services. Learn how ReDoc Software can bring your rehab medical records into compliance, mitigate your risk from RAC / Medicare audits, capture lost charges and increase your therapists' productivity. Learn how CareOne provides a culture of belonging and excellence. Cascade Dafo’s Fast Fit® products are designed for young children with fully-correctable foot alignment who need flexible support for standing and walking. 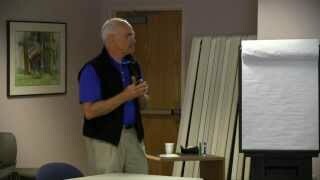 This video, narrated by Cascade Dafo founder/owner Don Buethorn, CPO, provides an introduction to Fast Fit solutions, which include both low-profile shoe inserts and a variety of above-ankle orthoses. To see more detail about the patient shown in the video, click here. For more information about Cascade Dafo’s pediatric bracing solutions, call 800.848.7332 or visit www.cascadedafo.com. 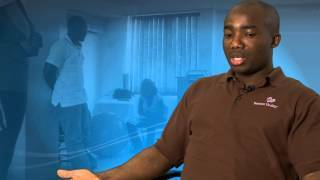 Meet Kenneth, a physical therapist at Page Hospital. He also volunteers his time and expertise to Step Far, a non-governmental organization with a goal to prevent, treat and reverse musculoskeletal disease. Banner Health annually recognizes employees for their contributions to the community by awarding those employees with a Singer Award. AlterG is changing the way the world rehabs. 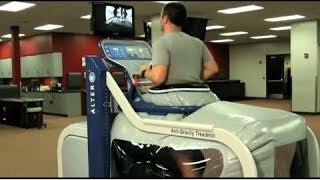 This video provides an overview of Anti-Gravity Treadmill and AlterG Bionic Leg. AlterG products help orthopedic patients, stroke patients, pediatric patients, offer weightloss solutions, assist professional and collegiate athletes, and more.